Since Kevin Spacey exited the Netflix show late last year following sexual misconduct accusations, Wright’s character and former first lady Claire Underwood has become President of the United States… and in need of a staff of her own. “You know, we wanted you on the show,” Wright asked Colbert. Wright teased Colbert, saying that she heard a rumor he wouldn’t audition, but would have to be offered a role outright. “No, I won’t audition, I won’t audition,” Colbert said with a laugh. After Spacey’s departure, many thought “House of Cards” would end. But Wright said while being sensitive to the #MeToo climate, they didn’t want to let down the fans or the 2,500 people who would have lost jobs on the show. Wright added that Claire’s arc was always meant to see her take over, be the first female president and explore the adversity she would face. “When she ended season five and looked into the camera and said ‘It’s my turn,’ it was always going to be the exploration of that,” Wright said. “She is going to have to make friends so she can create enemies to get through this administration, and she’s up against all men. “House of Cards” returns for its sixth season on Nov. 2 on Netflix. Actor Seann William Scott took over the role of Martin Riggs for the show's third season, which got the green light from Fox on May 13. A representative from Warner Bros. Television said the studio "decided not to renew Clayne Crawford’s contract for ‘Lethal Weapon'" after reports of bad behavior on set, described as "complaints of emotional abuse and creating a hostile environment." Crawford apologized last month and wished the "Lethal Weapon" team luck on their third season without him. “To my cast and crew – CONGRATULATIONS on season 3!” Crawford wrote. “To the Fans – Thank you for the overwhelming support and love. Riggs was a dream role and the experience will live with me forever. My heart is full. Good Luck nxt season! !” he said on Instagram over the weekend. "I take great pride in treating everyone in life with dignity and kindness," the 40-year-old actor said in April. "I am very grateful for my job, and I work extremely hard at it. I have a responsibility to do good work for my coworkers, my family, and my home state, and most especially for the fans. I hope they will stick with me and stick with the show." Fox bosses said the decision to move ahead with a new season without Crawford was not their decision, but that of Warner Bros.
"Ultimately, our partners at Warner Bros. come to us about three weeks ago to tell us that they could not deliver ‘Lethal Weapon’ as we’ve known it before, that there were some real challenges in the cast. They thought long and hard about it. I know that was not their first choice,” said Dana Walden, Chairmen and CEO, Fox Television Group. After star Kevin Spacey was accused of sexual misconduct, production was delayed and the actor's character was eventually written out of the show. Netflix chief content officer Ted Sarandos announced in December that a sixth and final season of the critically acclaimed drama "will not involve Kevin Spacey," but will feature lead actress Robin Wright. Danny Masterson was written out of the Netflix comedy after multiple accusations of sexual assault surfaced. Masterson denied the accusations and said he was "disappointed" in the streamer's decision to remove him from the series. "From day one, I have denied the outrageous allegations against me. Law enforcement investigated these claims more than 15 years ago and determined them to be without merit," he said in a statement to TheWrap at the time. "I have never been charged with a crime, let alone convicted of one. In this country, you are presumed innocent until proven guilty." Music executive Charlie Walk exited this singing competition, on which he was a judge, after he was accused of sexual harassment by a former employee. Walk did not attend the Fox show's finale, and will not be returning. "I do not want my presence to be a distraction. Needless to say this is very upsetting," Walk said in a statement in February. "Although I continue to support the ‘Me Too’ movement, there has been an extreme rush to judgment against me in this particular case which is unfair and inconsistent with anything that even actually happened. I welcome any investigation so that in short order these unfounded and hurtful accusations can be put to rest." He has since left Republic Records. "Gossip Girl" alum Ed Westwick was replaced by Christian Cooke after the actor was accused by three women of sexual assault (Westwick has denied the accusations). The premiere of the drama was canceled in November after accusations surfaced, and the show was pulled from the BBC. Filming for another BBC drama featuring Westwick, “White Gold,” was also stalled at the time. Reshoots with Cooke went "smoothly," according to The Guardian, and the drama finally premiered on BBC One on Easter Sunday. Chandler Riggs, who played fan-favorite character Carl Grimes, left the show this season in a drawn-out and heartbreaking death-by-zombie bite. Fans were shocked when they learned his fate. 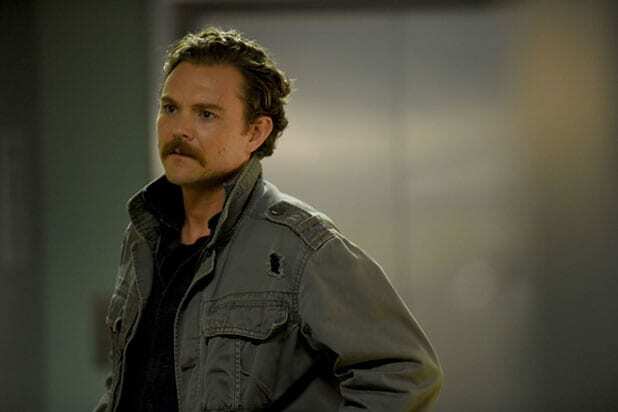 "I didn’t know that this many people connected to him like on such an extreme level,” Riggs said of his character in an interview with TheWrap. Carl's death on the long-standing AMC drama caught fans off guard, mainly, because his character is still very much alive and a large part of the comics on which the show is based. News of longtime cast members Sarah Drew and Jessica Capshaw leaving the medical drama came as a shock to fans in March. After some reports that star Ellen Pompeo's behemoth salary led to the actresses being cut, both Pompeo and showrunner Krista Vernoff said the idea was misleading. Drew has since been cast in the CBS reboot pilot of "Cagney and Lacey." "Harry Potter" alum Frank Dillane, who plays Nick Clark on the "Walking Dead" spinoff, said that Season 4 felt like the right time to move on from the show. (Spoiler!) Nick died in an April 29 episode after being shot by Charlie, the child spy of the Vultures group. "I just felt like the beginning of this season kind of felt like the end of an era with this show. And television is hard work, and you have to shoot a lot," the British actor said in an interview with Entertainment Weekly. "I also missed Europe very much. I’m not American, so after a while I get quite homesick and all of those things. I also felt like we had achieved what needed to be achieved in the first few seasons, so I thought it was time to keep moving." Combined with new cast members, like "Walking Dead" star Lennie James, Maggie Grace, Garret Dillahunt and Jenna Elfman, Nick's death marks the whittling away of the Clark family and crew on the spinoff show. Long-time "NCIS" star Pauley Perrette announced in October that she's leaving the show after 15 seasons. "So it is true that I am leaving NCIS... There have been all kinds of false rumors as to why," she tweeted last fall. She also threw cold water on reports on why she left, adding that, no, she does not have a skin care line, nor does she have beef with the network. Comedian T.J. Miller left the HBO sitcom at the end of last season, and his only legacy in Season 5 are the pig ashes Jian Yang uses to convince the court he's dead. Showrunner Alec Berg told TheWrap last June that Miller's exit "was for the best" and that he thought it was time for the actor to move on. Miller told TheWrap that the cliffhanger ending to Season 4 felt like the perfect time to leave. But Miller's exit has been followed with accusations of sexual harassment against him (that he's denied), and his co-stars said he was often late, would fall asleep on set or even show up drunk. Jeffrey Tambor was barred from returning to Amazon’s series “Transparent” for Season 5, the streamer said in mid-February. The decision came after the conclusion of an investigation into accusations that the Emmy-winning actor sexually harassed three women, including Tambor's ex-assistant and transgender actress Van Barnes, “Transparent” actress Trace Lysette, and makeup artist Tamara Delbridge. Tambor denied the accusations.